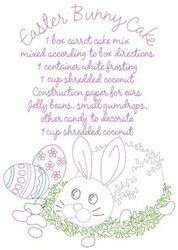 Create a one of a kind shower gift when you add this redwork design of recipe for Easter bunny cake to a set of tea towels! 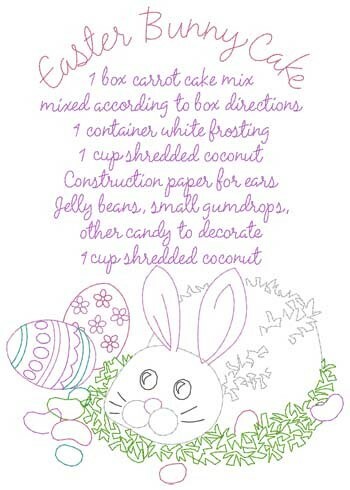 Dakota Collectibles is happy to present Easter Bunny Cake machine embroidery design which has 23060 stitches and is [125.22 mm x 177.29 mm] large. If you would like to view more embroidery patterns please search on our embroidery designs page.